Born in Richmond County, NC, Felton Capel attended Mineral Springs High School in Ellerbe and then served two years in the military in Germany and France. Junior Achievement On the GI Bill of Rights, he then attended college at Hampton University in Virginia. He then returned to the Pinehurst area. In 1959, Felton joined the Los Angeles-based Century Metalcraft Corporation as a sales representative for the firm's cookware. He led the firm's international division in sales in his first year and became an southeastern area sales director. At the same time, Capel got involved in the local community being elected in 1959 to the Southern Pines Town Council. He was re-elected five times and served four years as Mayor Pro Tem and four years as Town Treasurer. In 1968, he was appointed by NC Governor Bob Scott to the North Carolina Board of Conservation and Development. In the mid-1970s, Felton Capel and six other executives bought the assets of Century Metalcraft and created Century Associates with seven affiliated companies. He serves as chairman and president of Century Associates of North Carolina. He also owns and operates Cardinal Recreation Park and Village. Among the corporate board of directors service on which he served were: Carolina Power & Light (1972 - 1998), Wachovia Bank & Trust, Durham Corp. and Durham Life Insurance Company. For more than two decades, Felton Capel has been a volunteer and financial supporter of the Fayetteville State University (FSU)  now part of the University of North Carolina system. 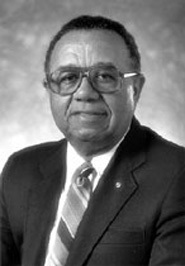 Felton has served as chairman and member of the FSU Board of Trustees (1978 - 1987) and then as vice chairman and member of the FSU Foundation Board of Directors for more than 10 years. Fayetteville State University named and dedicated its sports arena to Felton J. Capel in 1995. He has served as a director of the United Way of North Carolina, chairman of the Moore County American Red Cross and many other community and civic organizations. He married Jean Walden of West End, NC, in 1954. They had three sons.